It can be quite jarring to see just how much location information we’re happily sharing with Google. Google’s Timeline feature See Where You've Been with Google Maps' New Timeline Feature See Where You've Been with Google Maps' New Timeline Feature Google can see everywhere you've ever been. Creepy or awesome? Read More makes it easy to see all this information at a glance, as well as turn off location-saving features and download a copy of all your Maps data. To see all your saved Google trips on a map imported from your phone, open up the Google Maps Timeline . You can also reach the Timeline by going to Google Maps while logged in, click the Menu button > Your Timeline. Here you’ll see plenty of information on where you’ve been: you can see your trips on a map, a link to your most visited locations and a link to all your saved trips. You can browse trips by date on the timeline or by location. Clicking on a date will show your saved trips and locations. Clicking on a location will allow you to see when you last visited that place. When you click on specific trips you’ll see a lot more information including mode of transportation, and the length and duration of the trip. If you’re saving your photos to Google Photos, you can also see photos associated with those locations, but this feature can be turned off through the Timeline settings. To download all your data saved to Google maps go to Settings > Download a copy of all your data. Go to your Google Activity Controls. Under Location History, toggle the feature off. In the window that pops up, click the Pause button. Go to the Google Maps Timeline. If you don’t want to wipe all your location history, you can delete individual trips by clicking on the trip to open it and click the trash icon. 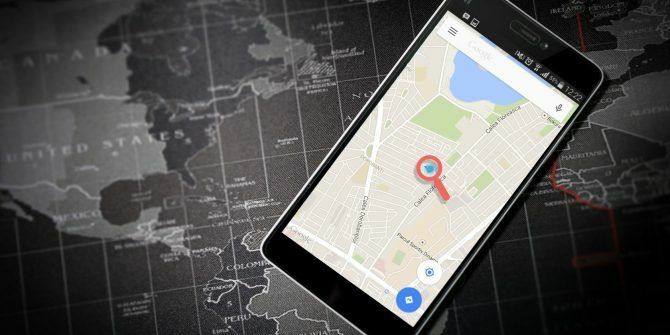 If you’re uncomfortable with how much information you’re sharing with Google, there are plenty of alternatives to Google Maps 6 Google Maps Alternatives and Why They Matter 6 Google Maps Alternatives and Why They Matter Google Maps isn't the only free map application on the web. These Google Maps alternatives bring useful features and helpful information to help you go around your world. Read More worth considering. Explore more about: Google Maps, Online Privacy.